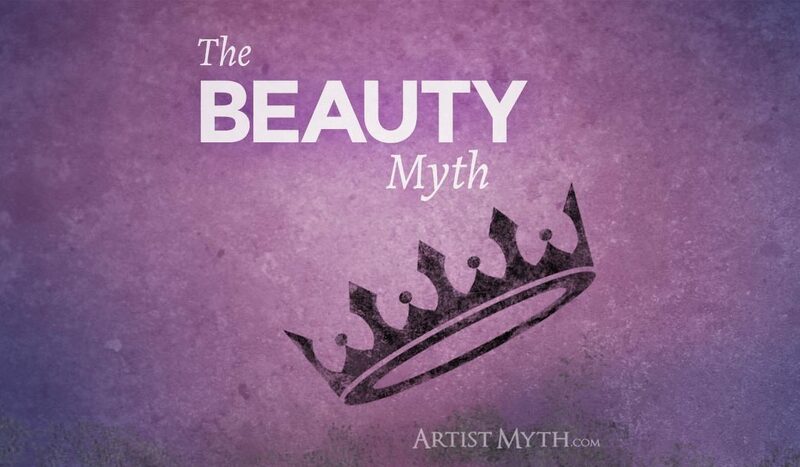 The Beauty Myth says that the highest and best purpose of art is to be visually beautiful. It also implies that creative work should look to the standard of beauty first when it wants to attract attention, communicate a message, or sell a product. I assert that while much art is indeed beautiful in its own right, it would be a gross misuse of art to say that its highest purpose is to be pretty. In fact, I’ll demonstrate in a moment why it’s sometimes better for art to be downright ugly. At any rate, my hope is that these words offer some encouragement if you feel pressured to conform to a beauty standard in any aspect of your creative life. I also hope that it illuminates some truths about how, as an end unto itself, beauty can be empty, fleeting, and even dangerous. We all know about the over-Photoshopped magazine photos featuring waiflike supermodels. We feel the pain of an impossible standard, a sometimes deadly one that gives rise to horrors like bulimia and anorexia. On a personal note, I have a daughter who is discovering how deceptive our culture’s standard of beauty can be. This is beauty as a product… it calls us to buy a song, a beer, or hair gel. It’s the most basic carrot on a stick technique we humans use to motivate each other to action.… wrap something up in an impossibly pretty package, and hope it sells enough to make up for the disappointment that will inevitably come when the package doesn’t deliver on the promise. Aside from the crassness of commercialism, a more palatable standard of beauty promises to elevate our minds and spirits and give us an ideal to aspire to. It calls us to stand before it, slack-jawed in awestruck silence, as we contemplate its wondrousness. If we grok it long enough and deeply enough, we may be able to glimpse a higher plane, lifting us our of our material world and inspiring us to greater things. This is the highly refined concept of beauty that causes people to do dangerous things. It’s like highly flammable gasoline that smells like flowers and tastes like Chardonnay. But it should always carry a warning sticker with it… approach with caution. Beauty is relative. If you don’t believe me, look up the Twitter feed of any beauty contest. You’ll probably find a raging debate that rivals any political discussion. There’s a Twilight Zone episode where a woman is being operated on by shadowy figures to fix the hideousness of her face. We don’t see her face, just the bandages on it and her eyes, which are filled with fear. She escapes in terror and runs down the hall. When her “helpers” finally catch up to her, the truth is finally revealed: they have faces that are pig-like. The patient’s bandages, meanwhile, have fallen off … and we see that she is very beautiful. All of this talk of standards and ideals carries with it a wistful quality. Our inability to achieve or possess it leaves us full of longing. I am reminded of Plato’s Allegory Of The Cave. It’s a pretty simple concept that supposes we are all chained to the inside of a cave. We can’t see the entrance, but we can see light cast from the outside world on the wall in front of us. We can also see shadows of people as they walk around just outside the cave entrance. Does this not (somewhat depressingly, I might add) underscore our concept of beauty? It’s a high ideal that’s planted in our minds but we can never quite fully achieve it. Once we think we have it in our grasp, it slips away. It seems the only way to make peace with this disability is to render what we think we see and appreciate it for what it is: an indirect reflection of an elusive ideal. Suppose we gathered 1000 of the best depictions of artistic beauty that we can find into one place. Let’s also suppose that we shut ourselves up with them and gaze on them every day, absorbing every detail, for an entire year. After that year, we might be able to sketch some of them from memory. We may also be able to accurately describe many of them in writing. But would their beauty have the same effect on us the 365th day as it did on the first day? Would we come out of that exile with some kind of new revelation about the human condition? Would we be equipped with new insights that we can use to help mankind? Doubtful, even if we do still have our sanity intact. Or it could be that we come to the same conclusion that old King Solomon arrived at more than 3000 years ago: that beauty is merely vanity, chasing after the wind? Beauty on its own doesn’t have an aggregating effect, it has a diminishing effect. Our eyes become accustomed to it with frequent exposure. It’s only when we attach emotional meaning to that beauty that it retains significance in our minds. Recently while on vacation I stood by the ocean in the evening with my family. A full moon was out, and it cast a gentle light on the waves. The surf crashed endlessly on the shore in a peaceful rhythm. My loved ones were around me, radiating the same love that I had for them. Everything about the scene was beautiful. I took a few pictures with my iPhone, but they couldn’t do the scene justice… they were grainy, and they only showed a portion of the image. Even the best camera couldn’t have captured the moment, though… it was stuck in time, never to be repeated. So if, as the saying goes, art merely imitates life, art that attempts to imitate beauty exactly embarks on a quest it can’t complete. How can it? It can’t even capture a simple moment in time at the beach adequately enough. Wouldn’t it be better to just repeat the actual experience? After all, the beach will always be there, and the full moon is available once every month, just like clockwork. Don’t get me wrong… I”m glad I had the presence of mind to take the picture. I might even paint a rendition of it based on the photograph. This is worth doing because of how the photograph and the painting make me feel. Even though they’re not a perfect reproduction, my memory fills in the gaps and takes me back to the moment. And maybe even someone else will look at the photo and the painting and see the same beauty I felt. Maybe they had a similar experience on a beach once, and it reminds them of it. Or maybe it does just a good enough job of being beautiful in its own right, without the preconceived condition of memory. Now that I’ve bashed on beauty (sorry, Aphrodite! ), let’s talk about the flipside of beauty. Not all art has to be beautiful. Some art is meant to be ugly. One such work is a seminal painting by Picasso titled Guernica. I saw Guernica while traveling in Madrid. I didn’t expect the enormity of the piece… it was given an entire room to be viewed in. Nothing was in this large white room except for the painting and a single small bench. As I gazed at it, I felt the pain of a little village in Spain that experienced the grisly horrors of a war they didn’t ask to be involved in. There was nothing attractive at all about the painting, and there shouldn’t have been. Picasso’s Guernica takes us to a place beauty can never go. It warns us of a history that should never be repeated. It educates us on the horrors of technology (In this case, mechanized warfare) in the hands of evil people. Trying to get a point across? An ugly message is far more trustworthy than a pretty one. It may even get more attention. I’ve talked a lot of negative stuff about beauty. That’s okay… it kinda deserves it. But please don’t get me wrong. I’m not saying that beauty shouldn’t have a place in the world. When it’s used properly, visual beauty can inspire, motivate, and lift our spirits. It can ignite our passions and expand our imagination. Beauty for its own sake, even if a bit empty, can have a momentary lifting effect. If you’ve learned how to make beautiful art and are happy about that, and you’re able to make a living from it, then please don’t let these words dissuade you. Just as the world will always have a perceived need for sugary sweets, end it will always have a need for the saccharine nature of beauty for beauty’s sake. As artists, we should consider beauty as just another tool in our toolbox. 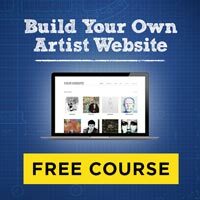 We can learn how to harness it and use it in our art. To use it most effectively, we can pair it with emotional significance or intellectual symbolism. If, however, you feel there’s some deeper meaning to be drawn out of your creative energy, then try going grotesque. You may find it surprisingly useful, not to mention liberating.